With passive video selling, you can keep the conversations coming, even while you're snoozing. You work hard to sell. But wouldn’t it be nice if sales just kind of happened, without you doing anything to start the conversation or nudge the deal along? Well, we can’t make you a wizard, Harry, but we can offer some neat tips to use video for passive selling. 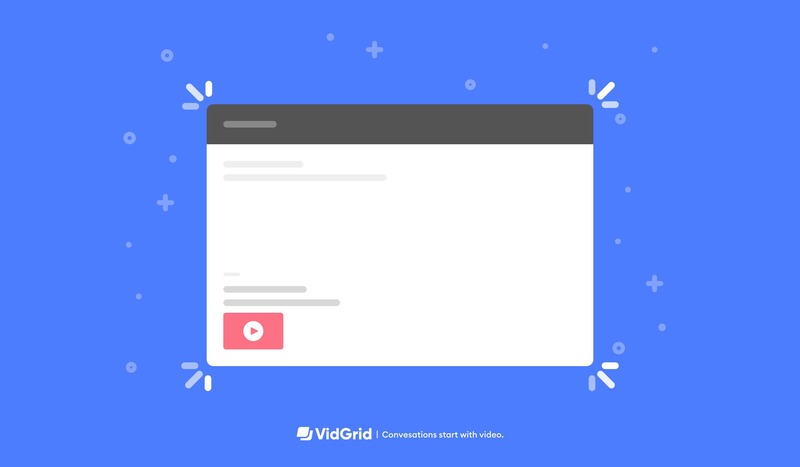 The VidGrid team has stumbled on a few cool ways to subtly slip sales opportunities into our daily communication. Add a face (and voice!) to your digital communication. With a video signature, every email you send out is an opportunity to introduce yourself as a friendly human. Your email signature video should end with the traditional content information in your email signature - your email, phone number, calendar, social profiles, etc. (This is all possible through your video business card). Leaving an out-of-office message for a conference trip or cool vacation? Leave a video message for those who attempt to contact you. Tell them a little bit about the trip you’re taking is build rapport and share a little bit about yourself. Your viewers get to live vicariously through you, and feel more connected in the process. GridTip: Add your calendar to the end of your video to let viewers schedule time with you when you are back in the office. Your video business card is your opportunity to add your typical business card information to any video or collateral you share. Viewers can click on your profile to learn more, or engage with your video business card at the end of the video. Want to sync your video business card with your physical business card? Just add an NFC or QR code linking to your Video Business Card to your physical one. As these videos are generic (not personalized for each recipient), the focus should be less about the buyer and more about YOU (counterintuitive, I know). Be yourself, and let your personality shine through. While these videos can be quirky and fun, they are not pointless. Make sure you know your goal, and use a video call-to-action if it would help.